Discussion in 'Forza Motorsport 7' started by GTPNewsWire, Jul 6, 2018. 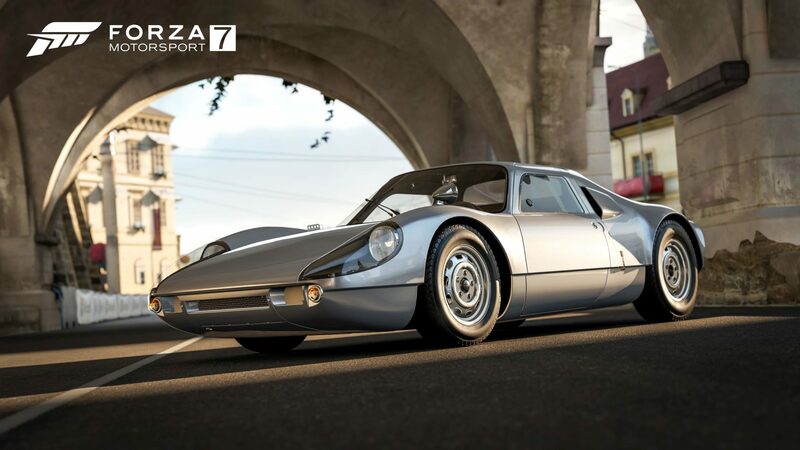 This article was published by Kyle Patrick (@SlipZtrEm) on July 6th, 2018 in the Forza Motorsport 7 category. adam thompson, HuskyGT, Cowboy and 1 other person like this. It's a shame that I already removed the game from my HD. Great news, and lots of great changes happening, I'm just a bit burnt out for me at the moment. Most consumer friendly choice I have seen them make... since I played my first Forza game about 3 years ago. Yessssssssss great news! This is brilliant. Very good news! Can't believe it took a year to do this. Still waiting for a option to create a private room / private room browser. Not a single race online since release because of this crap "You need to invite a friend to create a room"
Public rooms only full of idiots and laggy screaming kids. So what's the locked car you are most eager to get? For me is the #66 Ford GT, I really don't want to do 300 miles in Sebring, and also the Alfa Romeo SZ, I kinda like the little ugly car. I just missed the old Mercedes 300 SEL, so that's the one I'm most looking forward to nabbing. I don't think there's many locked cars left that I find hugely appealing, but I could be wrong. It feels a bit late, and the game still needs improvement. But it is a more than positive change. Now make Homologation optional for offline/career and we're good. Cloudy, prousonhairy, ykiki and 1 other person like this. I think this move was planned all along. The locked cars have been used as bait to sustain player involvement in the various community events. Now they have the data they need and barely any unicorns were given away in the process. Necessary evil so to speak. This is what we deserved to have from the beginning. Probably those cars I still haven't grabbed from the Showcase Events I still haven't bothered to unlock. The Alfa Romeo SZ only looks weird with the default rims, in my opinion. Find some that look decent though and it gets to look sharp. I just want the AMG 6.3. Nice, I have 20mil and 20 more cars to buy. I want the Ferrari 612 first. I need to get back into the game and start compiling credits. Too little, too late. I dropped FM7 a while ago already. I was too disappointed, and got bored extremely quickly post-completion. Ferrari 612 Spaghetti. All other missing locked cars I already have in other Forza games. For me, this is good news for those who wanted to buy said locked cars (me included). I also like the fact T10 will be focusing more on FM7 and not developing a sequel. Nissan IDx NISMO. That car has been a blast in previous games. I want to put it up against the Tamo Racemo for a little Index of Performance competition. Indeed, how could I forget. I have had one of those sitting in my inbox waiting to be redeemed for a while now. Not to pour salt on open wounds, but how tastes differ. The IDx is one of those cars I can't get myself to using, I'm not a fan of fictional cars and concept cars. Nielsen, BoneSawTX, SlipZtrEm and 2 others like this. Unpopular opinion time: I don't think the concept of having locked cars was really a bad idea, it just wasn't implemented correctly at all. I get the idea behind it; Forza 6 made collecting cars completely trivial to the point where people were eventually complaining they had 20+ million credits and nothing to spend them on, so they obviously wanted some cars to have extra value and be more desirable. But between the specialty dealer running repeats for so long with such a small pool to choose from each week, Forzathons only happening once a month until recently and a number of the locked cars being too mundane to really be excited over, the whole idea just fell completely flat. Much as I try to avoid comparing GT and Forza these days, I really do think they should have looked at GT4's used car section and done something like that with the specialty dealer. It would have made more sense given how much they had decided to keep restricted. ykiki, Imari and RazorSharkz like this. "Esaki went on to explain that the five Collector Tier levels will remain. That will be the only barrier players face in their quest to own every car"
This race took me 3 hours and 5 minutes to complete, last november. But it worth the gift, this Ford GT is very nice to pilot. To add to this: give us the production Q60 already, damnit! I agree — and I sort of touch on that in the article. Prize cars, in and of themselves, are a good thing IMO; there's got to be some level of "progression". Even as far back as GT1, cars like the Nismo 400R were only available via specific task completion (gold licenses). FM2 had unique prize cars as well. The main issues with the locked cars in FM7, at least from my perspective, were two things. One, it was a huge proportion of the entire car list. Two, there was no clear progression path. I wanted a Prowler so that I could swap a V8 into it and recreate a car that did well for me in online racing in FM6. I couldn't do that — and there was no way of knowing when I could. That also suggested that whenever T10 stopped supporting FM7, all of those cars would be unavailable to any players that joined in the fray later on in the game's life. That's... unfortunate, even if I understand it from a business perspective. Give players a clear progression path, and even if they can't immediately achieve it, they know how. Obscure it behind time-sensitive locks, but with no real schedule to plan ahead, and players will become frustrated. I absolutely agree that a Used Car Dealership would be fantastic in Forza. Nobody else can really do it at this point, and considering the game's community-oriented features like the Auction House and the buying/selling of tunes/liveries/etc, it could be a very cool way to influence "the hunt". Then again, I guess that's sort of the Auction House's purpose right now, really; usually, you can find one of the brand new cars for a deal, if you're willing to look. Er, probably not; if @Nacho Libre owns anywhere around 80–100 cars I'd bet he's already at Tier 5. And even if he weren't, there's plenty of ways to get there without doing the Sebring race. Bogie 19th, Imari, willbsn13 and 1 other person like this. I'm actually very close to the 500 car achievement Sure the car is quite nice, I ran it a lot in Forza 6. I can't help but think that was the original intent of it. If those cars are only obtainable from other players after a time, then they would remain rare items that only became more rare as people who had them stopped playing, meaning they would gradually command higher prices in the auction house and conveniently act as a credit sink for people who have nothing left to spend their credits on. Sort of a group of naturally occurring unicorns that would be well known about but also be desirable and very hard to obtain without being a dedicated player. But since some of them got heavily diluted by multiple runs in the specialty dealer and T10 obviously couldn't run enough events on a monthly basis to get the rest of the locked cars into circulation, that won't realistically work anymore. Even at the current weekly rate they probably wouldn't get all the locked cars out before Horizon 4 launches. They shouldn’t have been locked away from the start. It was literally what I hated the most about the game. Now I have all the cars I want except for a second F12. Rob192005 and breyzipp like this. and I sort of touch on that in the article. [snip] One, it was a huge proportion of the entire car list. Two, there was no clear progression path. I noticed that when I read the article, and I agree. Cars need to come with a clear path to ownership or you end up with a whole lot of frustrated players. What's the point of playing the game (or more importantly buying the game) if you can't even purchase the one car you want most because it was arbitrarily placed behind a barrier with no way to unlock it? Can't wait for the key to unlock those cars lol.